Moving tenants in and out of your space has never been easier. 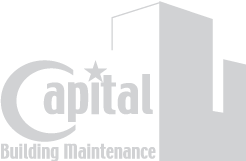 Let Capital take care of hauling old equipment, extra trash, and furniture for you. We also offer trash cart rentals on varying schedules based on your needs. Just call us to deliver a cart and let us know when you would like it picked up. Your tenants will appreciate the quick turnaround to dispose of obsolete computers, printers, files, etc. We offer flexible after hours delivery and pick up of your cart to minimize tenant inconvenience. Trash hauling requests made by 3 pm Monday thru Friday will be completed the same day.